Great No One sets the tone, Elizabeth describing herself a “just a broken bulb flickering with doubt, happens all the time” as she sings about unrequited love, in this instance, from a guy to her. The tone of her voice is quite matter of fact rather than wrought with emotion, resigned to her (love) life being “not what I choose always caught in between” before she’s accompanied by vocal harmonies in the background that give the whole thing a wonderfully warm and comforting feel. Future Me Hates Me is the resignation that she’s going to dive headlong into a relationship that’s wrong and an apology to herself for when she has to deal with the fall out - “I didn’t want to, I didn’t fall” as the guitars charge in then drop out as she declares “it probably won’t happen again but there’s something about you” as if she’s convincing herself it’s true. Uptown Girl is another breakup song declaring that the solution is in the bottle “I will go out tonight, I’m gonna drink the whole town dry, put poison in my wine and hope you’re the one that dies” as means of securing closure. The subject of You Wouldn’t Like Me is evident in the title, but it’s a warning to a suitor of her unsuitability wrapped up in three minute of guitars and drums that are on a relentless race until one of the album’s solos kicks in until it drops down. The structure is typical of much of the album, darting around furiously and never standing still. Not Running Away becomes more of a duet as the song progresses, acting as the vehicle for a conversation between a couple trying to work out if they have a future with Elizabeth declaring “if you said goodbye would that be a lie?” with the pair of them singing the same line at different points in the song. Little Death clocks in at five minutes, much longer than anything before it, and starts stripped down, descriptive of Liz’s feelings when the subject of her affections is close by. Lines like “when you’re near my heart starts beating faster, the world starts moving slower, I just freeze .... you make me feel three glasses in” that capture that emotional state perfectly run throughout. Happy Unhappy sets off at breakneck pace, like thoughts racing around someone’s mind being let out to music delivered at the speed that something else jumps into your head, drums hammering out the declaration “you’re in my brain, taking up space” as Elizabeth tries to work out what she actually wants. Once again they use vocal harmonies impressively through the song to help lend the song warmth and empathy as it stop starts to its uncertain conclusion and the guitar solo takes the song away. River Run Lvl 1 is a little more reflective in its tone, a recollection of a birthday sat at home trying to work out what’s going on in a situation that’s about to break apart. Whatever starts off with an infectious hook, more harmonies and backing vocals as yet another relationship (or the same one, we can’t tell) hits the rocks - “you’re breaking my heart, I wanna cry” - but this time, the “whatever yeah” is a dismissal of the other party’s latest excuses, a fight back or driving a car into a river to escape finally. Less Than Thou finishes off the album in the vein of much of what’s gone before it, being alone at home looking at the phone in reflection piecing together the pieces - “another evening alone, collecting the lines, lines that you used when you say you’re fine, trying to ignore all the typical signs, trying to be more surprised” - but it finishes on a positive “leave me out this time” declaration as Elizabeth is going to take no more and as if to emphasise the point the final sound on the record is that of a door banging shut as the closure that’s been sought. 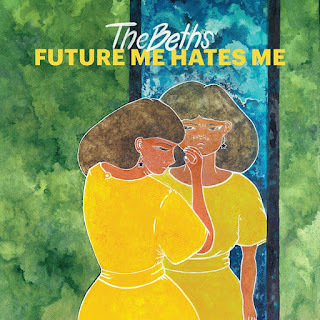 There’s something warmly familiar about Future Me Hates Me and if you’re looking for a groundshaking record that those whose who have disowned the wonder of jangly indie guitars because they’re just not cool enough will adore then you’re looking in the wrong place. But Future Me Hates Me is a glorious debut, a record that makes you smile whether it’s the naked honesty of the lyrics, it’s a knowing nod that most of these songs could reflect a heartbreak or a rut in your life or anyone you know at some point or their unashamed hat tip to the records they probably grew up listening to on the other side of the world which they’ve taken and allowed to influence but not dictate their own record. 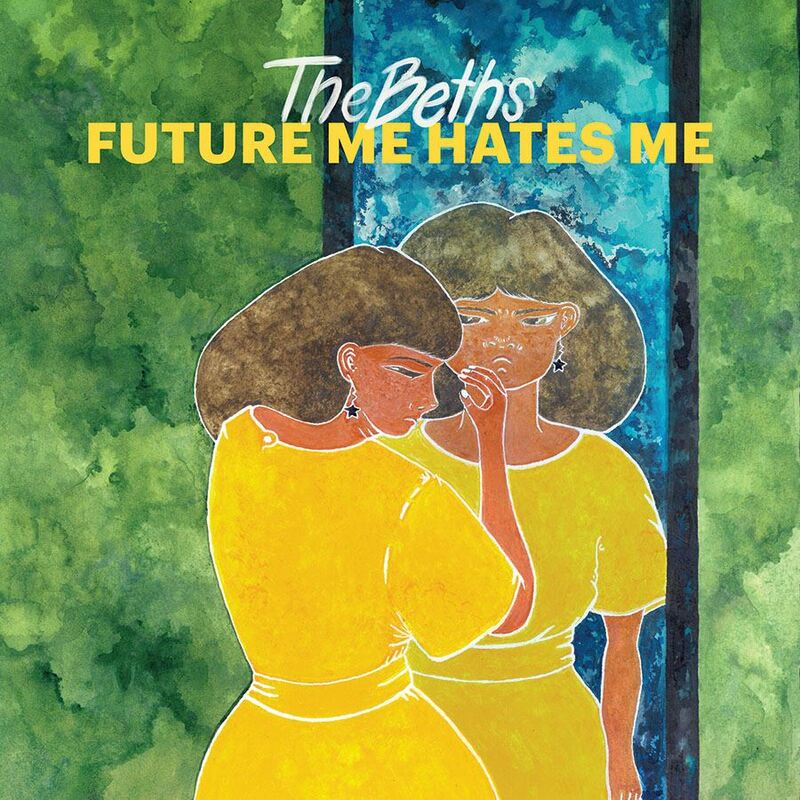 The Beths' official website can be found here and they are on Facebook and Twitter. Their UK tour takes in Bristol Crofters Rights (November 5), Manchester Marley Mancunia Records And Studio (6), Glasgow Broadcast (7), Leicester Duffy's Bar (8), Bournemouth The Anvil (9), Brighton East Street Zap (10) and London Sebright Arms (11) as part of an extensive European tour.